What Is The Best Option For Your Campaign? In a digital-first world, it should be no surprise to learn that the digital printing market is experiencing phenomenal growth. Innovative features that bring a little pizzazz to marketing campaigns should be something to be excited about, but it also offers an element of confusion to users. Considering that a large proportion of a marketing budget is allocated to printing costs, it’s crucial to find the right balance between quality and quantity. Whether you are planning to print posters, brochures or flyers, it’s your unique requirements that hold they keys to the right choice for your campaign. There are always advantages and disadvantages to both the old and new way of doing things. Understanding the differences between traditional lithography and digital printing that will enable you to choose which of these technologies is right for you. Once upon a time, printing was an incredibly cumbersome process. Thepreparation of printing plates feels strangely alien in an on-demand economywhere we can plug in a device and print our selfies, documents or flightboarding passes. Digital printing offers a much quicker turnaround and more affordable costingas long as you keep the quantity down. Another appealing aspect is the abilitypersonalise and edit jobs while they are running without having the hassle oftime-consuming processes that slow you down with lithography. Purists will quickly point out that users are sacrificing print quality for speed andflexibility. But, in a world where time is the new currency, it is easy to see whydigital printing is having a surge in popularity. IT’S YOUR UNIQUE REQUIREMENTS THAT HOLD THE KEYS TO THE RIGHT CHOICE FOR YOUR CAMPAIGN. Litho printing may involve a technique that is hundreds of years old but don’t be fooled into labelling this tried and trusted method as irrelevant in this digital age. There is nothing else that can compete in terms of delivering exceptional quality. The traditional form of printing might begin as an expensive and slower option, but it quickly becomes cost effective. For example, a large-scale job of between 500-1000 copies will be much cheaper and of a higher quality than the digital option. An average 5-day turnaround is also required to allow the ink to dry before the job can be completed. When you also throw in the time needed to make the plates is clear that litho is not cost effective for short-run printing. THE REALITY IS THAT BOTH DIGITAL AND CONVENTIONAL LITHO PRINTING TECHNOLOGIES OFFER UNIQUE BENEFITS TO OUR CLIENTS DEPENDING ON THEIR REQUIREMENTS FOR EACH JOB. The crossover point where these two technologies meet is entirely determined by cost, speed, quality and whether you require short or longer runs. As digital printing jobs increase in size, they cease offering value or any redeeming value compared to litho. Equally, when litho jobs shrink in size they quickly struggle to compete with the agiler new kid on the block. There is no silver bullet, or one size fits all approach to fulfilling your printing needs. The reality is that both digital and conventional litho printing technologies offer unique benefits to our clients depending on their requirements for each job. It’s also important to remember that the design itself needs to be treated with the same amount of respect and time as the printing process. People frequently make the same mistake by starting their journey worrying about their digital and litho options that they forget the basics.  THERE IS NO SILVER BULLET, OR ONE SIZE FITS ALL APPROACH TO FULFILLING YOUR PRINTING NEEDS. Before even thinking about what technology is best for you, the primary focus should be on the requirements for the unique print run. Upon understanding exactly what you want to achieve, the most economical technology for your printing needs can then be investigated. As a rule of thumb, if you are printing over 500 pages of colour pages, the more traditional litho printing is probably more suited to your needs. Equally, if on-demand printing in smaller quantities is top of your wish list, then digital printing is likely to be a better fit. Whichever option you decide upon, we firmly advise that you communicate your exact requirements exactly to your chosen partner. It is also recommended that you obtain samples before committing to committing to the print job. However, rather than navigating down unchartered waters on your own, we recommend that you speak with an agency or expert about your budget and requirements to ensure you don’t rush into any expensive mistakes.